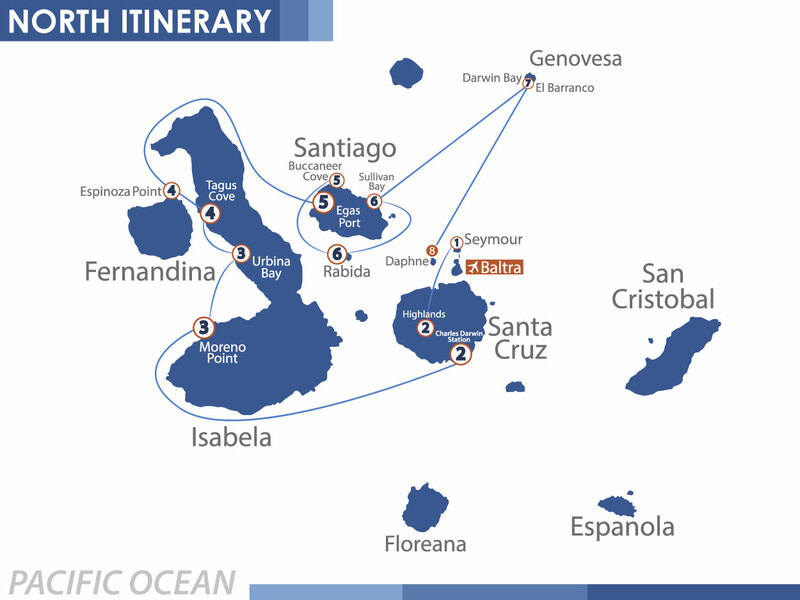 Nemo II Galapagos islands cruise ­ Availability and itineraries. The NEMO II Galapagos islands cruise itinerary is separated between North and South and alternates between week to week. The NEMO II Galapagos cruise is only for eight days from Sunday to Sunday with several excursions daily. The North NEMO II Galapagos cruise itinerary begins on Sunday right when you land at the Baltra airport. The NEMO II Galapagos cruise continues island hopping daily with several activities planned each day. 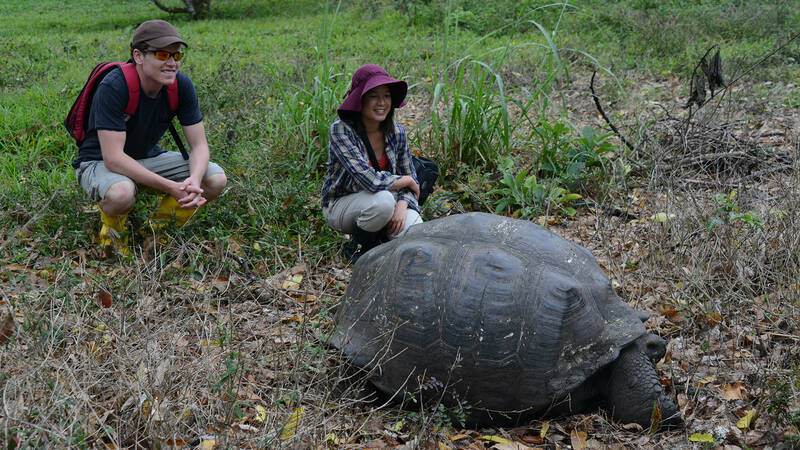 The North NEMO II Galapagos Itinerary hits several hot spots including the tortoises at Charles Darwin Station. The following days of the North NEMO II Galapgos islands cruise itinerary you venture to see the amazing volcanic terrain of Isabela and the expansive amount of land iguanas. The Norht NEMO II Galapagos islands cruise itinerary continues to the red sand beaches on Rabida. Throughout almost every day on your North Nemo II Galapagos islands cruise itinerary there is the world renowned snorkeling that is a highlight on all NEMO Galapagos cruises. The South NEMO II Galapagos cruise itinerary again begins once you arrive via plane on Sunday. Then on the second day of your South NEMO II Galapagos cruise itinerary you head to a breeding center to be intimately exposed to the amazing tortoises. Then the NEMO II Galapagos islands cruise itinerary takes you to San Cristobal where there is deep water snorkeling and much more. The middle of the North NEMO II Galapagos islands cruise itinerary hits the islands of Espanola and Floreana where you go on exciting walks and exposed to the amazing flora and fauna, including friendly sea lions! The NEMO II Galapagos cruise continues with more island hopping with unforgettable excursions and you end by disembarking on Baltra to either continue your adventure or return home. As you can see from the description of the NEMO II Galapagos islands cruise itinerary and the link day by day for both North and South this vacation gives you a full encompassing experience. Both Galapagos cruises itineraries take you on a beautiful voyage that captures the magic surrounding these islands. If you have any additional questions about the NEMO II Galapagos islands cruise itinerary please do not hesitate to contact us. The NEMO II Galapagos cruise is in operation the entire year. Having the convenience of being located on the equator the Galapagos Islands have excellent weather year round, allowing all the NEMO Galapagos islands cruises to operate without the untimeliness of seasons. Again the NEMO II Galapagos cruise availability is for an eight day cruise that operates from Sunday to Sunday only. The NEMO II Galapagos cruise availability allows up to twelve passengers and also has a full crew aboard. 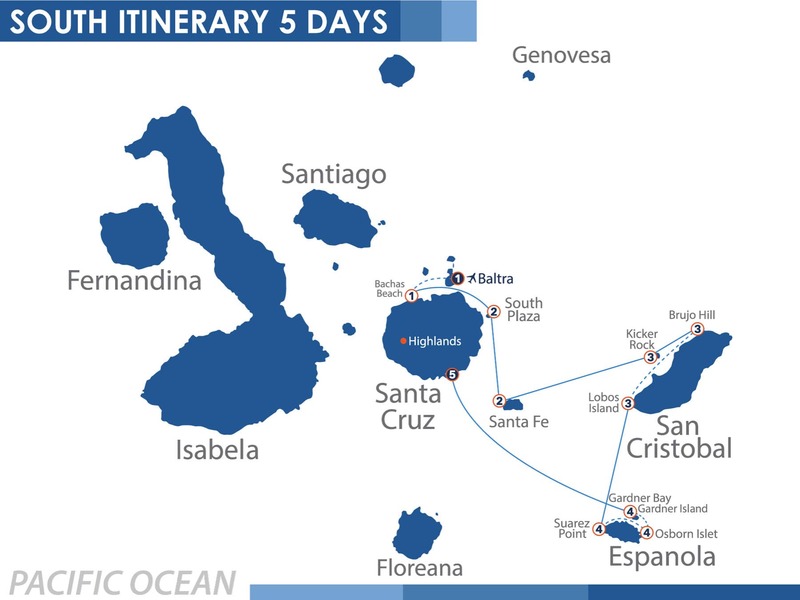 The other NEMO Galapagos cruises availability has five and four day cruises, if that interests you more. But the NEMO II Galapagos cruise is an exceptional cruise that hits all the hot spots and provides a full service cruise for the entirety of the week. Any month we can accommodate and check the NEMO II Galapagos islands cruise availability to assure it fits with your schedule. If for whatever reason we do not have the NEMO II Galapagos islands cruise availability we can check the remainder of the Galapagos cruises availability to see how we can guarantee your proposed dates. The NEMO II Galapagos cruise availability does tend to fill up so it is important to reserve the dates you are interested while you can. Our customer service specialists will make every effort to check the NEMO II Galapagos islands cruise availability to accommodate your dates and also revise the rest of the Galapagos cruises availability to provide as many options. Since we have different Galapagos cruise itineraries options available that amplifies the Galapagos islands cruises availability for the passengers to elect off of many cruises. All of the NEMO Galapagos cruises provide a special service and exceptional vacations. We provide several Galapagos cruise itineraries on each of the NEMO Galapagos islands cruises to appeal to a wide variety of passengers. Take a look at the variety of options for the Galapagos islands cruises itineraries that we offer and we can confirm the Galapagos islands cruises availability. 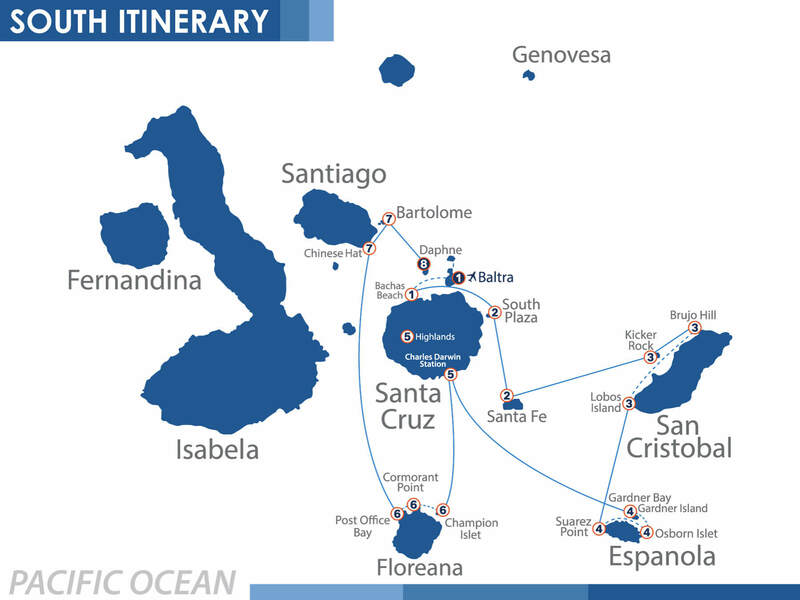 Below you will find the NEMO II Galapagos islands cruise availability for the entire year. 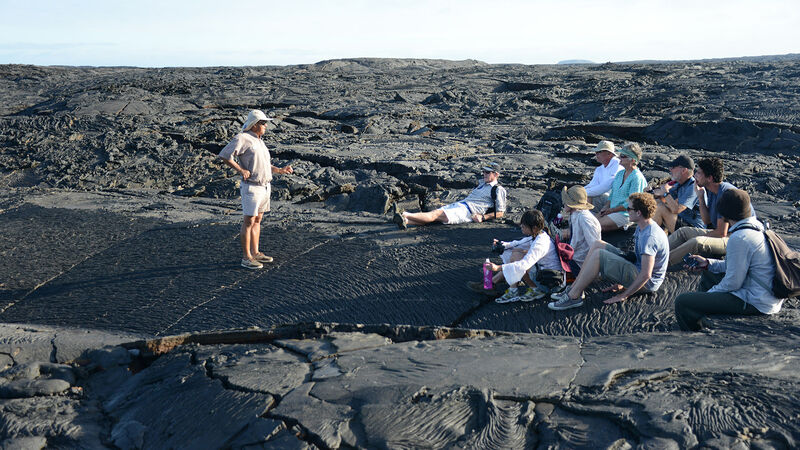 We update all Galapagos islands cruises itineraries so you can arrange your own schedule. The NEMO II Galalapgos cruise availability below so arranged between the North and South Itinerary. If you cannot find your date below in the NEMO II Galapagos islands cruise availability than we can take a look at the other NEMO Galapagos cruises to find the date you are searching. We have excellent customer service specialists awaiting to assist you to find your perfect NEMO Galapagos islands cruises. The goals are to check all the Galapagos islands cruises availability and provide you with your ideal vacation. Visitors tend to book their vacations up to a year in advance so it is important to check our Galapagos islands cruise availability as soon as possible. The NEMO Galapagos islands cruise availability is conveniently located below to see the dates we currently have available. The NEMO Galapagos islands cruise availability is updated as soon as you are booked and you can have an idea how many other passengers have booked to accompany you on your trip. 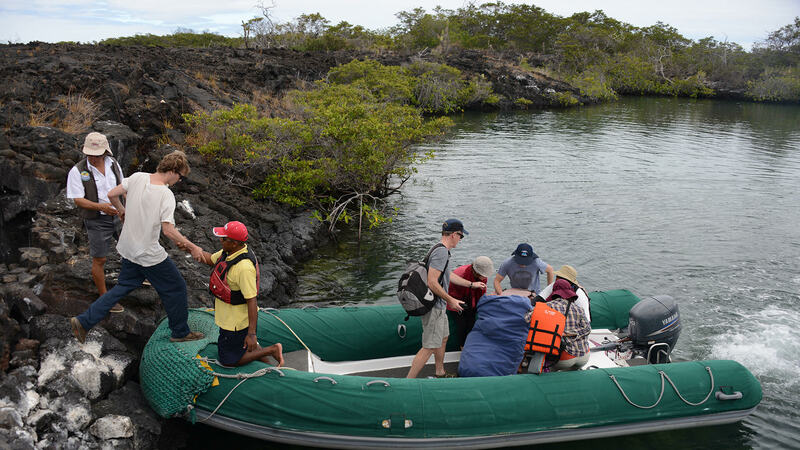 The NEMO II Galapagos islands cruise availability spaces reaches a maximum of twelve passengers. The NEMO Galapagos islands cruises goal is to make sure their passengers have an unforgettable voyage that is remembered for a lifetime. Take your next vacation with NEMO Galapagos islands cruises and capture the beauty of the islands that have only imagined in your dreams. Use a maximum of 40 characters. How did you hear about us is required. 1. Cancellations by the guest must be made in writing and will not be operational till the agency has received the document after first deposit we will charg an administrative fee of $250.00 per passenger. 2. Cancellation received between 119-90 days before departure will have a 20% of the total cruise will be retained. 3. Cancellation received between 89-60 days before departure will have a 50% of the total cruise will be retained. 4. Cancellation received less than 59 days before departure will have a 100% of the total cruise will be retained. 2. Child discount: 20% of net rate. Only applicable for children under 12 years.